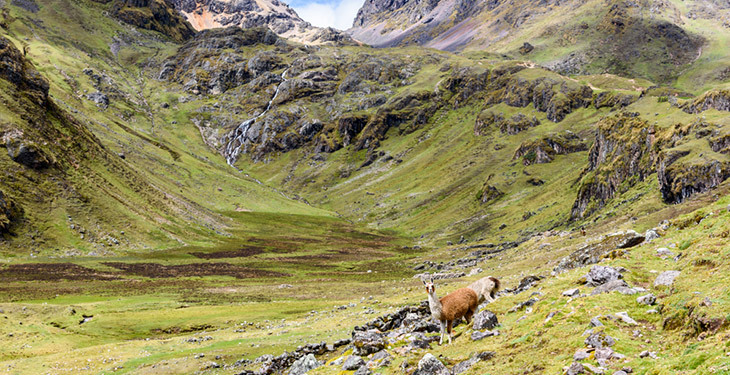 Steep mountains, Incan roads, llama trails, gravel and paved roads — Peru has it all, for all experience levels! 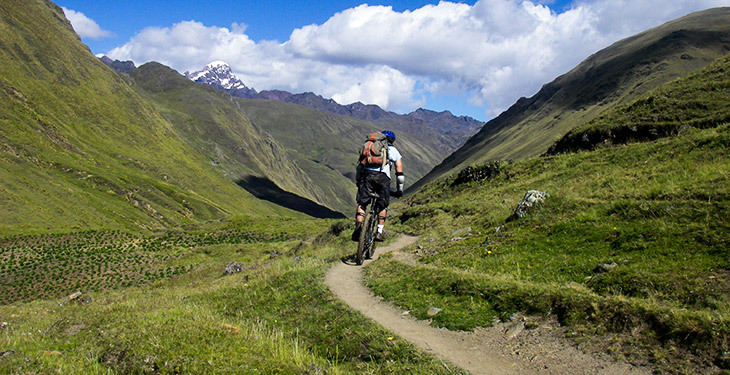 Spend 7 days discovering why so many call Peru a mountain biker’s paradise. Combine singletrack and easy downhill road riding for a tour of Peru's highlights: Machu Picchu, Cusco, Pisac, Ollantaytambo, Maras, Salineras, and more. Ride through farmland, villages, and eucalyptus forests as you head towards the ancient ruins of the Sacred Valley. Visit Moray, a series of massive, mysterious terraced amphitheaters, and Salineras, a still-working salt factory, with a patchwork of colored pools twinkling under the sun. Lose yourself among the peaceful countryside, picturesque lakes, and quaint villages of this ancient land. Whether you’re a seasoned biker or just starting out, this trip is for you! The group will meet at 1:00 pm for a traditional Peruvian meal at a local favorite restaurant. In the afternoon there’s time for a stroll around Cusco’s beautiful historic center with your guide, and a mechanic will be on hand to help you assemble your bike if you’ve brought it from home. It’s a good idea to take it easy and drink plenty of water today to aid acclimatization, as you start riding the following day! 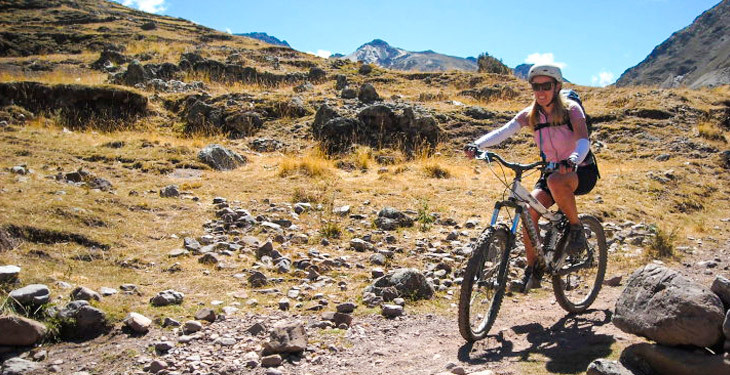 Start your ride with a fun, easy ride on paved and dirt road and easy singletrack to Pisac – an Inca township that’s the gateway to the Sacred Valley and home to a famous handicraft market which you’ll have time to explore. In the afternoon, saddle up again and ride along the flat, fertile floodplain of the Sacred Valley to your spectacular, scenic campsite. This morning, you'll drive up to Amparaes Pass and then descend on easy gravel road or singletrack into the remote Lares Valley. You'll start riding in the chilly high-altitude rocky area, and end up in a warm, green river gorge. The chance to enjoy a beer and barbecue at the surreal and beautiful Lares hot springs is worth a trip in itself. Naturally-occurring hot springs are surrounded by lovingly landscaped terraces and lawns dotted with tents. This is sure to be one of your favorite places in the world – there is no better end to a day of riding than soaking in the springs and staring up at the stars. This morning an incredibly scenic drive takes you up to the dizzying Amparaes Pass and to the top of one of the world’s best off-road descents. Section follows section of llama track, gravel riverside, and eventually scenic river gorge. End with an array of undulating riverside singletrack (or take the open, speedy gravel backroad alongside) into the outskirts of Calca. Here you'll have a late lunch before more cycling through the beautiful, verdant Sacred Valley towards Ollantaytambo, one of the most beautiful villages in Peru, and your destination for the night. This is one of the most popular day trips in the region – even non-riders get on bikes to enjoy this morning’s scenic, easy riding through rolling countryside, past lakes and ruins. Your next ride is a treat – one of the best singletrack descents in Peru, christened ‘the School’ by Aspiring Adventures bike guru, Ronald, it has something to teach everyone from novice to expert. 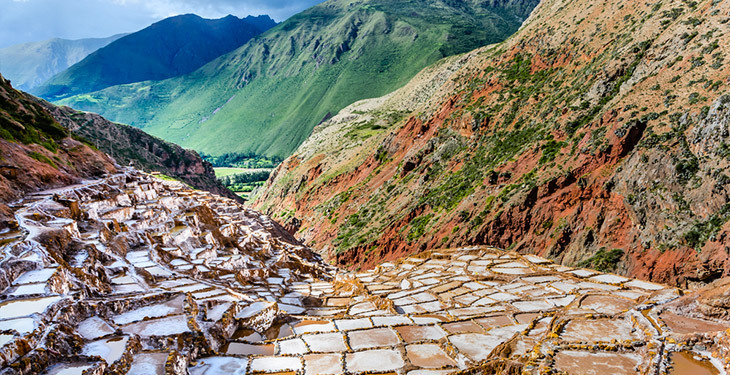 Best of all, it ends at your guides' favorite Inca attraction, Salineras – a surreal and beautiful patchwork of pools and paths that still produces salt using Incan technology. Later, take a train to Aguas Calientes. 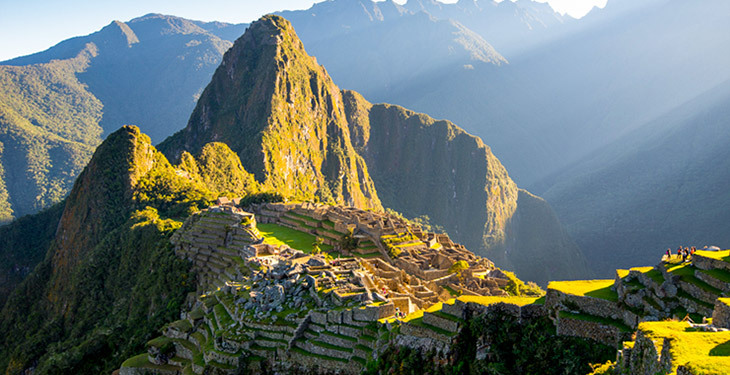 An early start rewards you with a sunrise at Machu Picchu – a peak moment for anyone. A spectacular stone city surrounded by incredibly steep, incredibly green mountains, Machu Picchu needs no introduction and is deservedly one of the Seven Wonders of the World. Your trip leader will take you on a guided tour – a necessary start to orient you in this massive site – then you’ll have plenty of time to explore the site and some of the surrounding peaks on your own before catching the train back to Cusco for your last night. You can book your flight out of Cusco for any time today. If you’re staying on in Peru, your hosts at Aspiring Adventures are delighted to help out with suggestions and assistance for the rest of your time here. Aspiring Adventures is a boutique tour company that specializes in showing you the real Peru: visiting sights few tourists see, eating in the best, secret local restaurants, and meeting real Peruvians. Of course they take you to the world-famous attractions, but the most memorable parts are what they'll show you in between: real people living a folk culture that’s unique in the world, and fascinating ancient and modern sights just a stone’s throw from the well-beaten tourist trails. Their small team of guides are the best in the business. As a team they are known for their deep engagement with and knowledge of Peruvian culture. Amazing week! The guides were great (one was a Peruvian cross-country champion, I believe), the bikes were great (full suspension Scotts), the riding was great, the food was really great (!!! ), and the views were amazing. By way of example, after a day of wonderful riding (downhill and then cross-country through the Sacred Valley), we arrived at our campsite to find that our tents were already pitched, our sleep mats and bags already rolled out, and in moments coffee, tea and hot chocolate with snacks were prepared for us! It was a very memorable week for me. My guide Luis was very knowledgeable of Inca history, Peruvian culture, local cuisine and had a detailed explanation to any question I had which allowed me to learn so much throughout my journey. All accommodations were absolutely awesome and a lot would have only been known by the locals due to them not having websites, etc. To give you an idea I'm pretty sure I had the best possible view of the fort in Ollantaytambo, all from the comfort of my room! I am confident and very happy to say that it was 100% worth going through Aspiring Adventures, they were professional, gave me value for money and were very accommodating. My experience of Peru through them was absolutely awesome! I will never forget it. 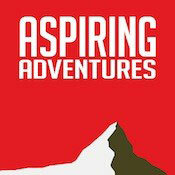 Hard to say enough good things about Aspiring Adventures. They planned a scenic and rugged mountain biking trip for me and a friend. The preparation was thoughtful, the execution flawless, and the trip unparalleled. We had a blast the entire time, from Cusco to Pisac to Lares to Calca to Urubamba to Ollantaytambo to Aguas Caliente to Machu Picchu and back. The guide, Ronald, was friendly and professional, the on-the-ground-team, Katy, was present and thorough, and our driver, Kique, was fun and safe. All around a brilliant time. What a great way to experience such a vibrant culture! MTB in Cusco, Peru! I traveled to Peru late September. I was there for a 7 day mountain biking adventure. The trip was awesome! Great guide, great food, great experience overall. This trip was nothing like I've experienced before. Instead of fighting tourist traffic at local "tourist" attractions, we were amongst the locals. Free from the chaos of busy city traffic and people. We were surrounded by mountains and nature. Natural Hot springs, beautiful people, breathtaking views, and delicious food. I recommend this trip to anyone!! 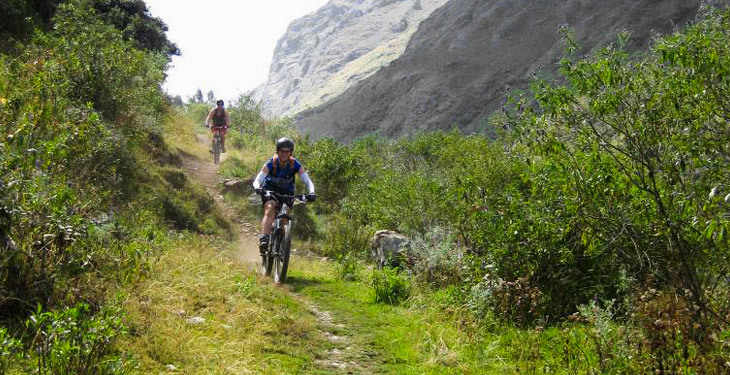 I booked the sacred valley mountain biking tour along with my husband and 4 friends. I have NEVER had that much fun on a vacation! If you are thinking of doing anything with Aspiring Adventures, don't hesitate. They are top notch and worth every penny. They provide incredible value for the very modest price they charge. To start, I had many back and forth emails with Katie, one of the owners about other tour options and she was extremely kind and patient with all my questions. She's also just really down to earth and funny and I'm so grateful she was willing to work with me organizing our random group of friends.Then, our guides, Wilhelm and Josh, were just top notch. They were the perfect blend of professional keeping us on time and in line, but also made you feel like they were your friends. That's a rare gift to feel like your guides are just part of your crew but knowing they totally have your back. In addition to our guides, our driver, El Presidente, was superb. Quiet and calm on some snowy twisty mountain roads that he handled with ease. And finally, our cooks were incredible. I'm not a foodie, but my husband is and another of our crew used to be a chef and they were blown away! Who makes cream cheesecake while camping? These guys! That's who. It was incredible. There are loads of other things to say about this tour and this crew, but bottom line, they are worth every penny and more. Book any tour with Aspiring Adventures, but especially the mountain biking tour. You won't regret it. Please note that each departure requires a minimum of 4 participants in order to confirm. Do not make travel arrangements until you receive confirmation from Aspiring Adventures. Additional dates available upon request. Please note that each departure requires a minimum of 4 participants in order to confirm. Do not make travel arrangements until you receive confirmation from Aspiring Adventures. Are there any other dates available that aren't listed? Yes! Please contact our Travel Services Manager to request other travel dates. What is the best way to get to the trip start location? Will someone be there to greet me at the airport? Fly into Cusco, Peru (CUZ), where you'll be met by a representative from Aspiring Adventures and transferred to the trip start hotel. No, U.S. citizens don’t need a visa to enter Peru. You'll be staying in clean and comfortable hotels for four nights, and tent camping for two nights. Pricing is based on a shared room (double occupancy) accommodation. Campsites have basic facilities. As a solo traveler, you can choose between paying a single supplement of $150 for your own room, or requesting to share with someone of the same gender. If there is no one to share a room with, you’ll need to pay just half the single supplement fee ($75) and be given your own room. During the two nights of camping, you'll have delicious meals prepared by Aspiring Adventures' masterful cook who works miracles, such as cooking up cheesecake in a tent. There will also be lunch at a private home in the Sacred Valley and meals at various Peruvian restaurants (from down-home traditional cooking, which means massive plates of protein and rice, to fancy novo-andino fusion). How much money should people budget? For meals that are not included, a budget of about $80 will more than cover it, but you can bring up to $120 if you want to splurge! You should also plan on bringing additional money for tips and other expenses not included in the trip cost. What camping gear should I bring? You should bring your own sleeping bag, mat and tent for the two nights of camping, or you can rent from the operator for $25/item. All other camping equipment is provided by the operator. Upon booking, you'll be provided with a detailed clothing and equipment list to guide you in your packing. If you’d like a detailed packing list prior to booking, please email us. There is vehicle support each day, so you won’t have to carry your gear while riding, but don’t pack too heavy and remember to allow space to take souvenirs home! Book confidently with Free Cancellations within 72 hours of booking. After 72 hours, cancellation fees will apply. Cancellations are subject to the full discretion of Aspiring Adventures. For more information on our Travel Cancellation Policy please Click Here.